DAMASCUS: Russia’s showpiece congress aimed at bringing Syria’s seven-year war closer to an end will go ahead on Tuesday, despite the country’s main opposition group and Kurdish minority saying they would boycott the event. Regime-backer Moscow has invited 1,600 delegates to the meeting in the Black Sea resort of Sochi as part of a broader push to consolidate its influence in the Middle East and start hammering out a political solution to the conflict. The main aim of the talks starting at 10:00 am (0700 GMT) will be to establish a committee to create a post-war constitution for Syria with UN-backing, according to a draft statement seen by AFP. Moscow said Syrian society will be fully represented at the meeting – the first of its kind held in Russia – but almost all confirmed delegates are from President Bashar al-Assad’s ruling Baath Party, allied movements or the regime’s “tolerated opposition”. The Syrian Negotiation Commission (SNC), the country’s main opposition group, said following two days of UN-led talks in Vienna last week that it would not attend the Sochi congress. The SNC accused Assad and his Russian backers of continuing to rely on military might and showing no willingness to enter into honest negotiations. Authorities from Syria’s Kurdish autonomous region said at the weekend they would also boycott the event because of the ongoing Turkish offensive on the Kurdish enclave of Afrin. Clashes and air strikes again hit Syria’s border region of Afrin on Monday, with new civilian casualties reported as Turkey pursued an offensive against Kurdish forces. Turkey, which supports Syrian rebels vying for Assad’s ouster, is co-sponsoring the congress along with regime-backer Iran. However members of both the opposition and Kurdish groups will come to the talks as individuals, the Kremlin’s special envoy on the Syria peace process Alexander Lavrentiev said. More than three dozen other Syrian rebel groups, including influential Islamists, had previously said they would not take part in the Sochi talks. Sochi’s airport was decorated in banners wishing “Peace to the people of Syria” as delegations arrived on Monday, but they and the billboards lining the route to the congress hall featured only the Syrian regime’s flag. The UN’s Syria peace negotiator Staffan de Mistura was among the arrivals, despite fears among Western powers that Russia is seeking to undermine a separate track of UN-backed Geneva talks with a view to carving out a settlement that strengthens its ally Assad. The US state department on Monday said it would not send observers to the Sochi conference, saying “our collective focus must remain on the UN-led political process”. But Mohannad Dleikan, a representative of the Syrian opposition’s so-called Moscow Group, which is attending Sochi but which has been accused by the mainstream opposition of toeing a more conciliatory line on Assad’s future, said the aims of the talks were the same as the UN’s. 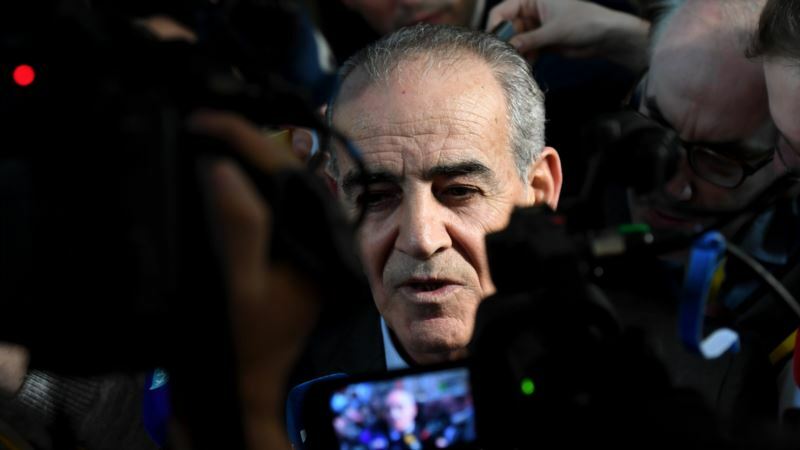 “If there is a consensus in Sochi, that will be a serious message to those in Geneva, whether it be the opposition or the regime,” he told AFP from Beirut. Moscow, which has spearheaded several rounds of talks from the start of last year in Kazakhstan’s Astana, initially hoped to convene the congress in Sochi last November but those efforts collapsed following a lack of agreement among co-sponsors. Moscow’s decision to launch a bombing campaign to support Assad in September 2015 – Russia’s first major military operation abroad since Soviet troops withdrew from Afghanistan in 1989 – is widely seen as a turning point in the multi-front conflict that helped shore up the Syrian president. After two years of military support for the Syrian regime, President Vladimir Putin announced in December last year the partial withdrawal of forces from the country, saying their task had been largely completed. The Syrian war, in which more than 340,000 people have died and millions more were displaced, began in 2011 as the regime crushed anti-government protests.